Choosing to plan ahead for a student’s college education is an important decision for every family. College Illinois! 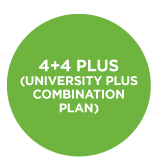 makes planning simple by offering 3 different prepaid tuition plans that fit almost any budget and lifestyle. We also offer an easy-to-use Plan Finder as well as Cost Calculator tools that allow you to estimate your payments and the amount of money you can save on your purchase. Explore our plan options below. College Illinois! 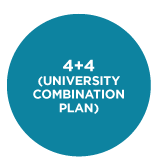 helps to lock in the cost of college at today’s plan rates. As college tuition costs continue to increase every year, Illinois families need a smart way to protect themselves from tuition inflation. With College Illinois!, you can reduce or even eliminate the uncertainty of future tuition increases by paying for future tuition at today’s plan prices. Start organizing around what college or university might be the right choice for your child by viewing current and past college tuition costs and fees for Illinois institutions.